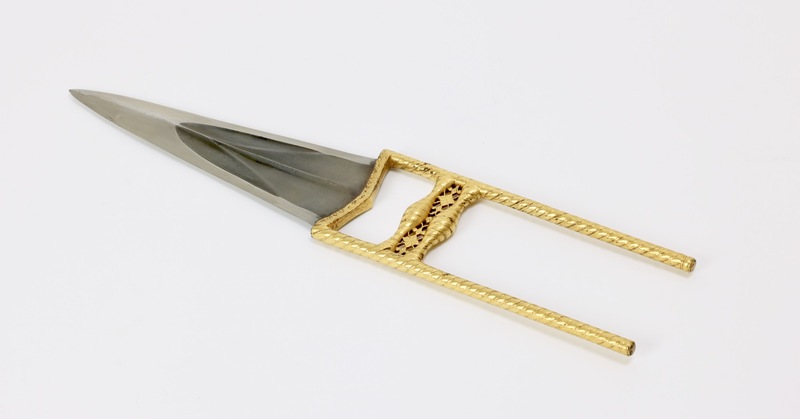 A fine example of a north Indian katar, in a style that makes it art of a small group of katar, most of them associated with Maharao Raja Ram Singh (1821–1889). 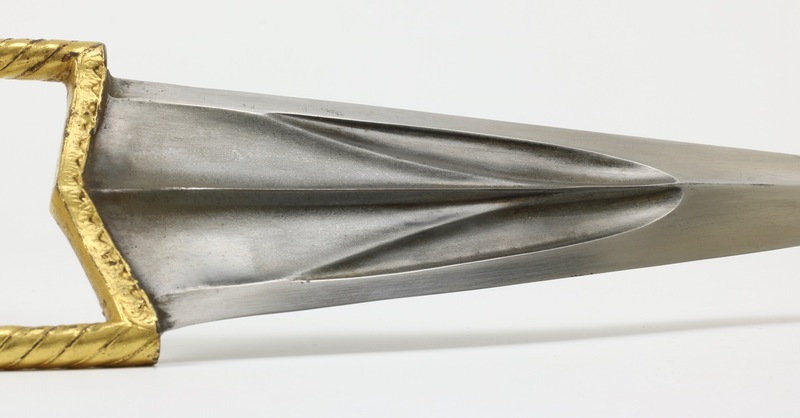 The steel hilt has side bars and handle bars that are entirely chiseled into spiral shapes. The work is very well-done and consistent. 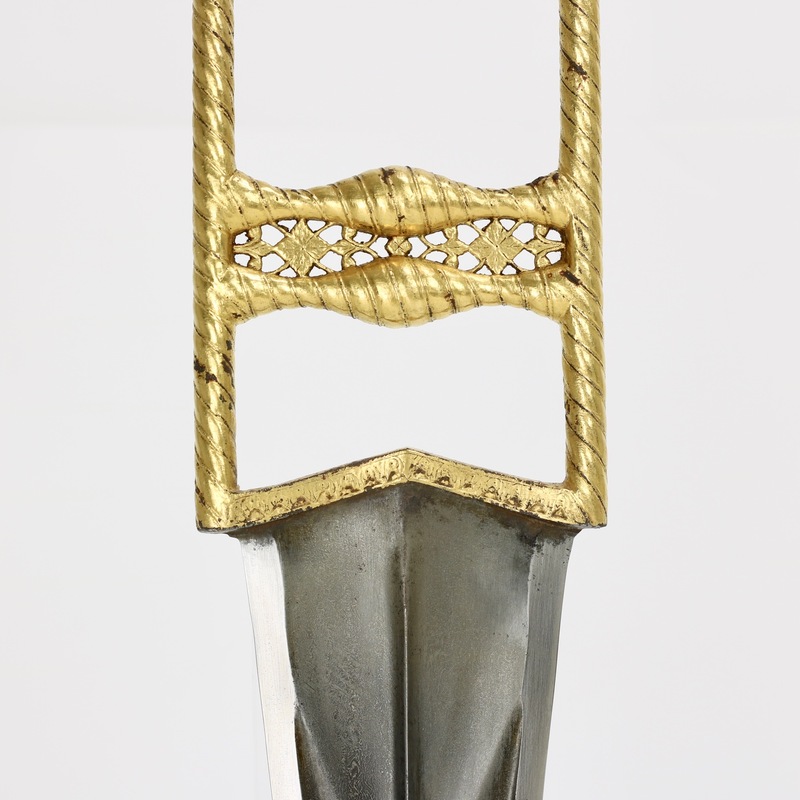 Between the handle bars are floral motifs in openwork which are typical for a small group of katar associated mainly with Bundi. 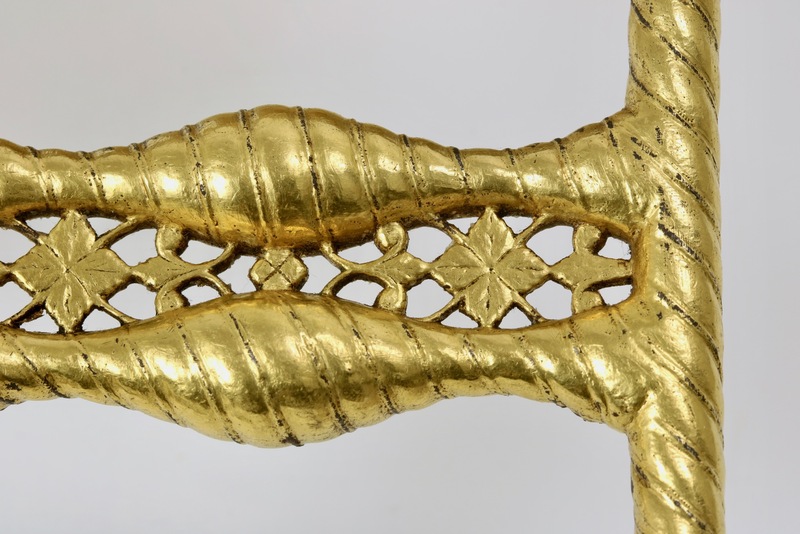 The whole of the hilt is covered with thick gold sheet, almost all of which remains. 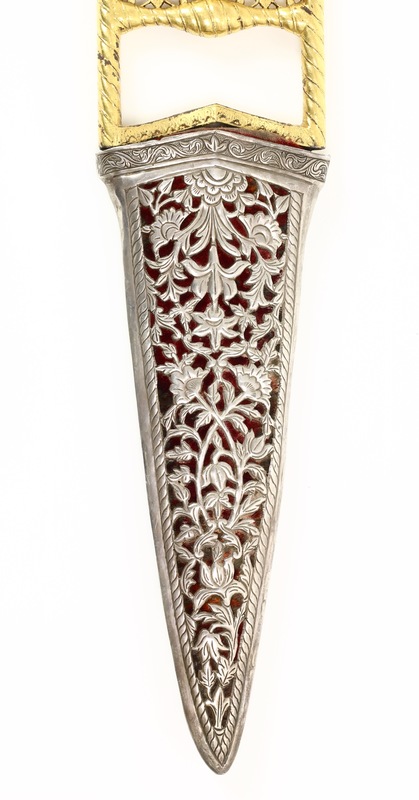 It comes with an old wooden scabbard with velvet covering, in an openwork silver casing. 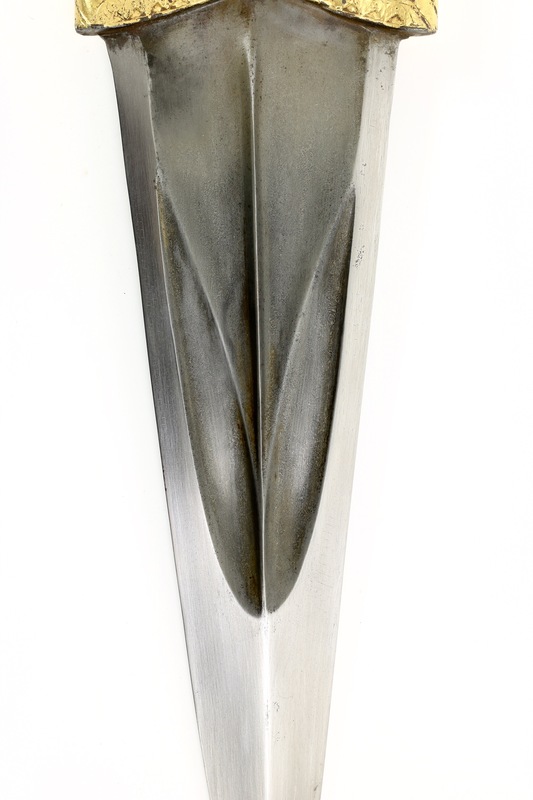 The scabbard is old and made for this piece, but is probably of a somewhat later date than the katar itself. 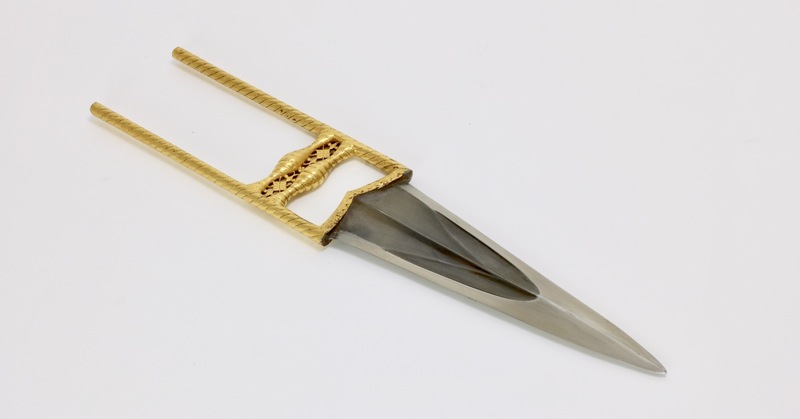 As said, this katar is part of a small group of katar, many of which are associated with Maharao Raja Ram Singh of Bundi. He was a popular and well-respected ruler who held the throne for an amazing 68 years. 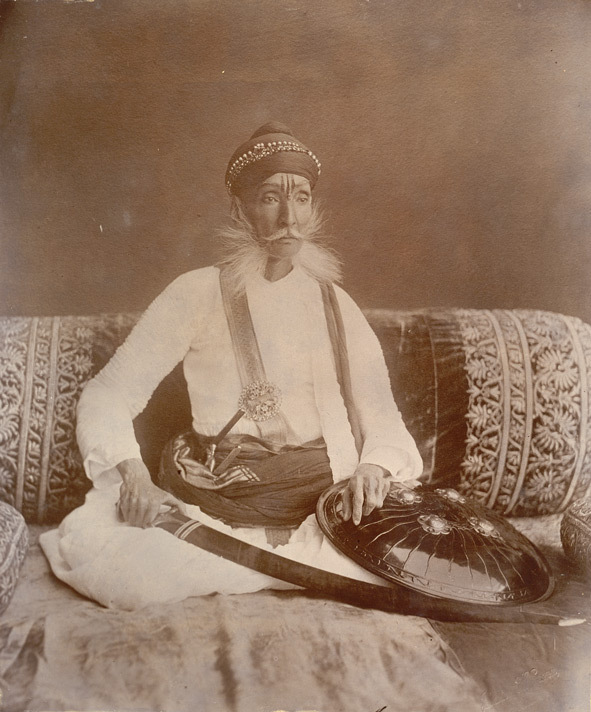 The Times described him as "a grand specimen of the Rajput gentleman" and "the most conservative prince in conservative Rajputana." 1. Metropolitan Museum, accession number 36.25.912. 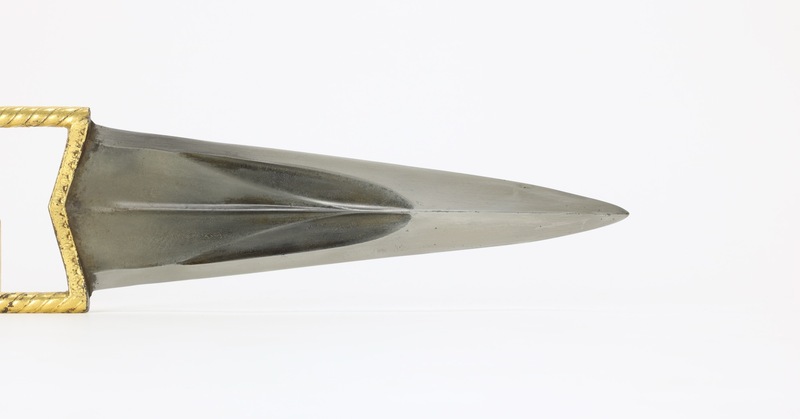 It has an inscription saying: "Bundijaram, Lord of Bundi, will protect with this dagger, [for] , when it pierces, is like the tongue of death." The other side bears a date corresponding to 1852. 2. 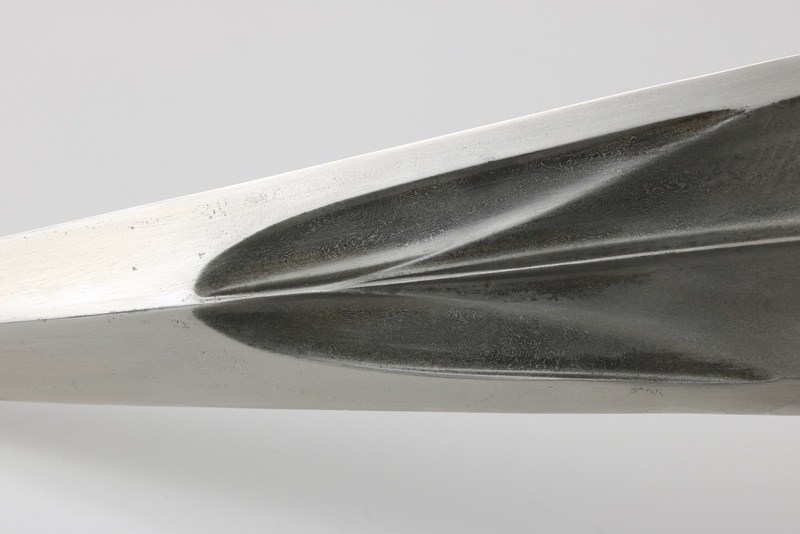 Royal Armories, accession number XXVID.84. 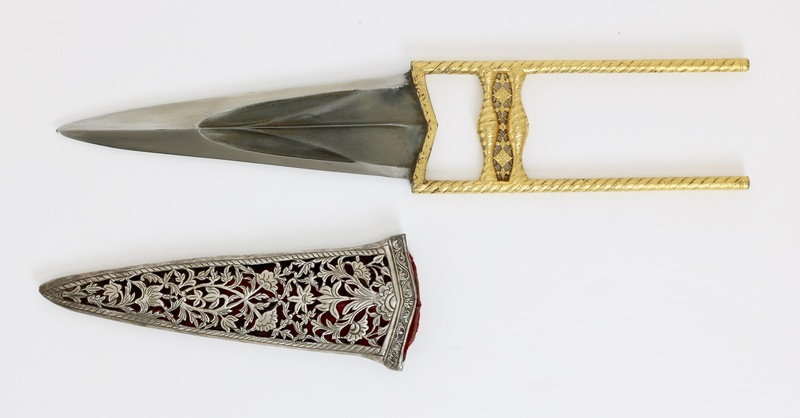 It has an inscription saying: "The dagger of Rajah Ram Sing of Bundi, the Rajah of rajahs: 1907"
This date corresponds to 1850 - 1851. 3. Maharajah Sawai Man Singh museum, City Palace, Jaipur. It is published in Elgood: " Arms & Armour at the Jaipur Court, The Royal Collection" , Niyogi Books, Jaipur, 2015, page 91, number 66. It has an inscription saying: "Katari from Bundi of Maharajadhiraj Maharav Rajashri Ramsingh" . 4. Ex Leo S. Figiel collection. Current whereabouts unknown. 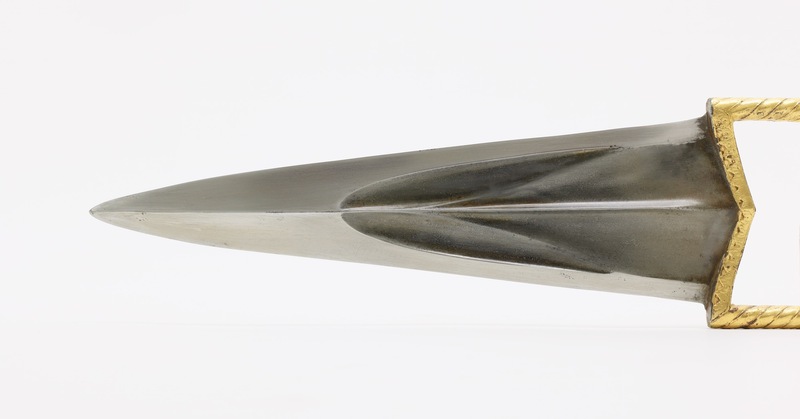 Published in "The Dr. Leo S. Figiel Collection of Mogul Arms" August 24, 1998 sale catalog, Butterfield & Butterfield Auction House, San Francisco, #2125. This example has no inscription. 5. Jens Nordlunde: " A Passion for Indian arms ", self published. 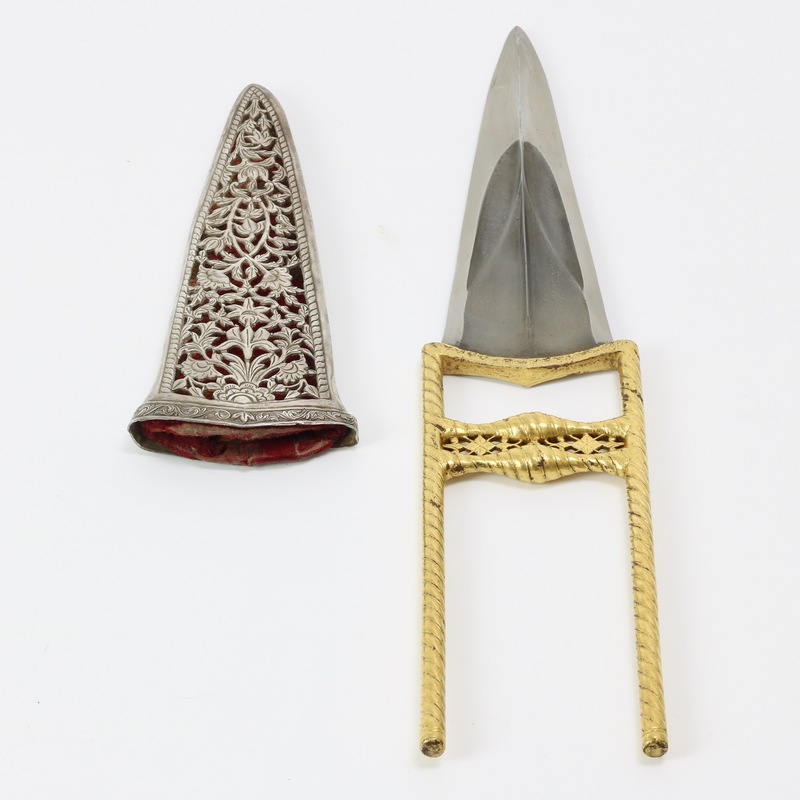 Page 103 shows a katar similar to the Metropolitan Museum and Royal Armories examples. 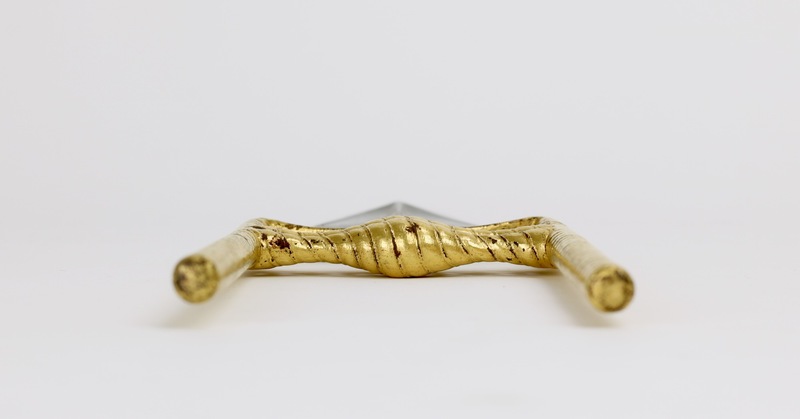 It has an inscription saying: "This terrible edged weapon in the hands of the king of Bundee, brings happiness to Bundee and is capable of piercing the temples of elephants. 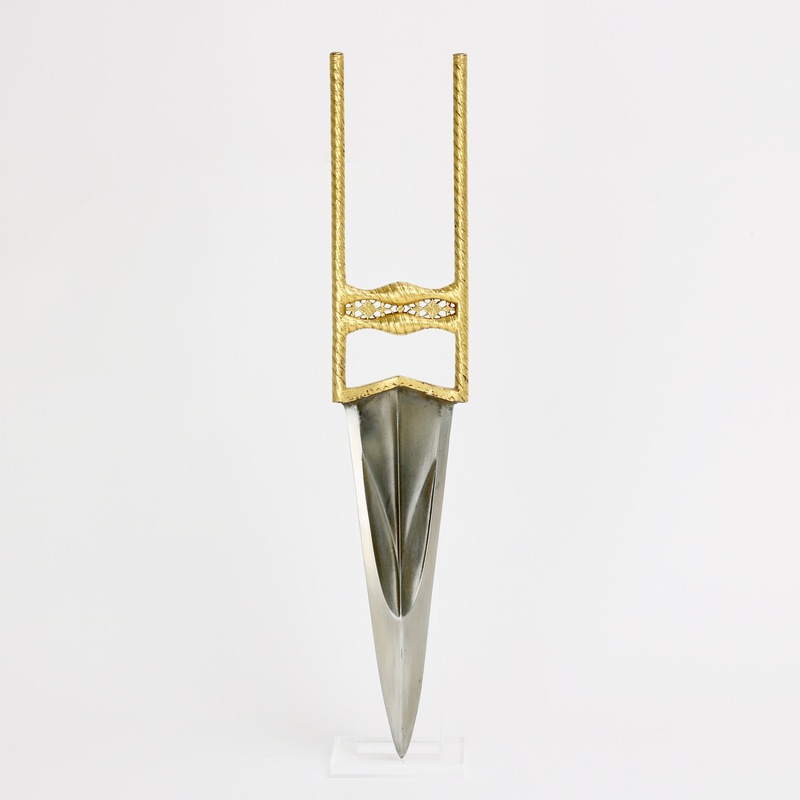 Hence it is called the Tongue of Death"
Dagger. Katár. 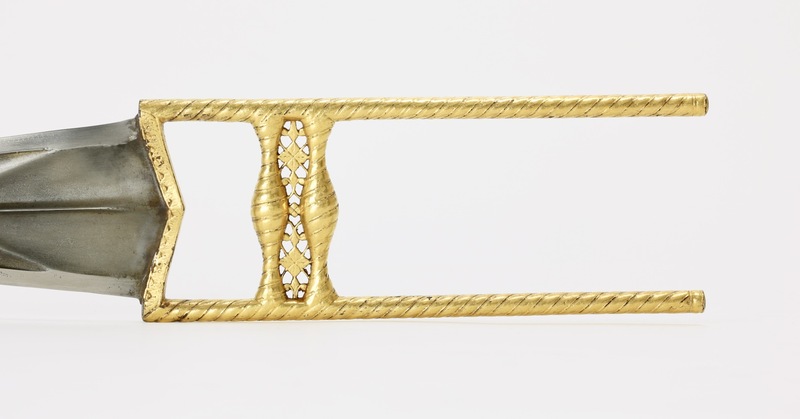 The double cross-bars and side-guards are enriched with well raised arabesque patterns in gold. 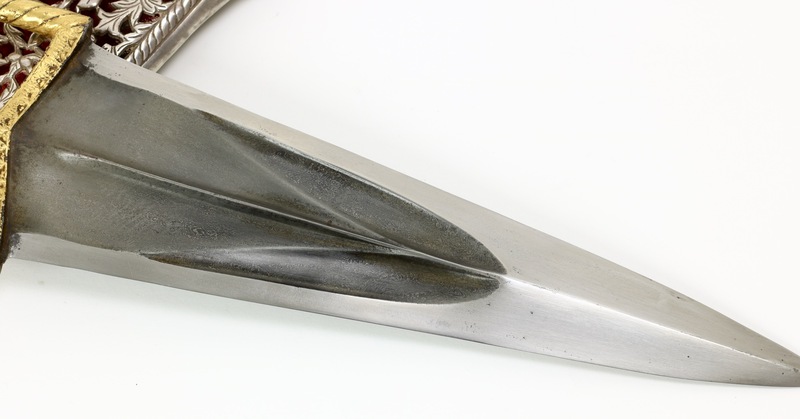 There are three ribs on the blade united by cross-ribs. 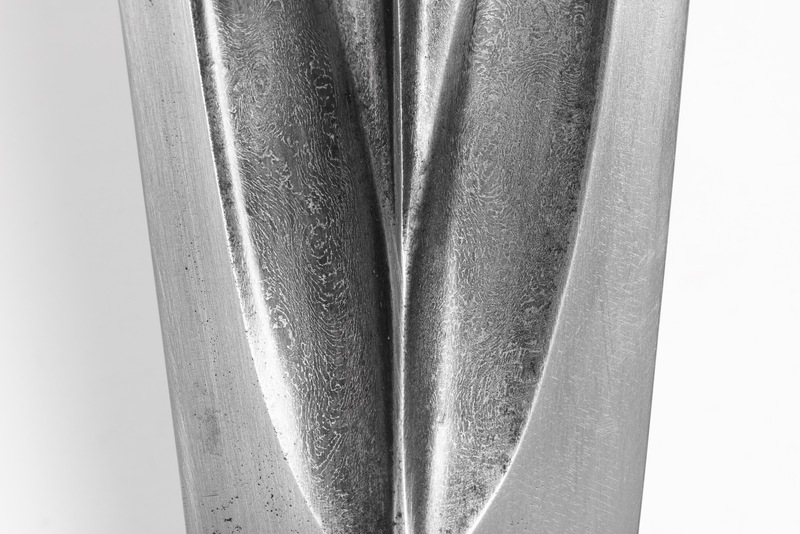 Sheath of embossed leather. Length, 18 inches. Made in Sirohi of Ispahan steel. Bought in 1836. Ispahan is a city in Iran, then Persia, so this most likely refers to the fact it is made of the prized Persian wootz steel. It is interesting that this piece is devoid of Bundi associations, and seems to predate the Bundi examples by some 14 years. I can't help but wonder whether Hendley made a mistake here. Sirohi and Bundi are some 350 km apart, but were ruled by related Rajput clans. 7. 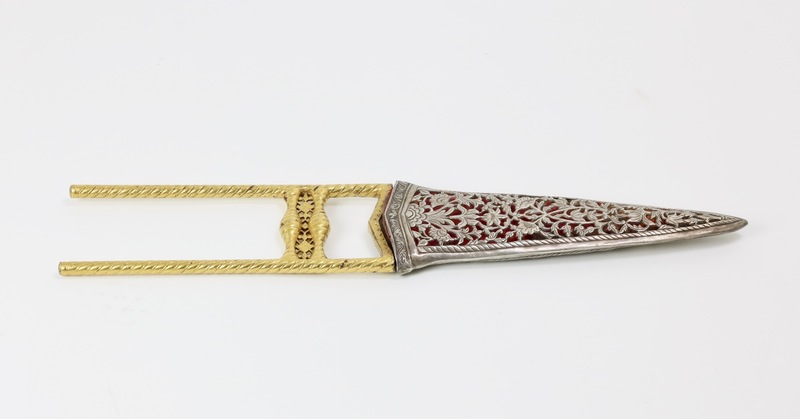 And finally, a katar with similar floral work between the handle was presented to Edward VII, when Prince of Wales, during his tour of India in 1875-76 by Maharao Raja Ram Singh of Bundi. Now in the Indian Room in Marlborough House. 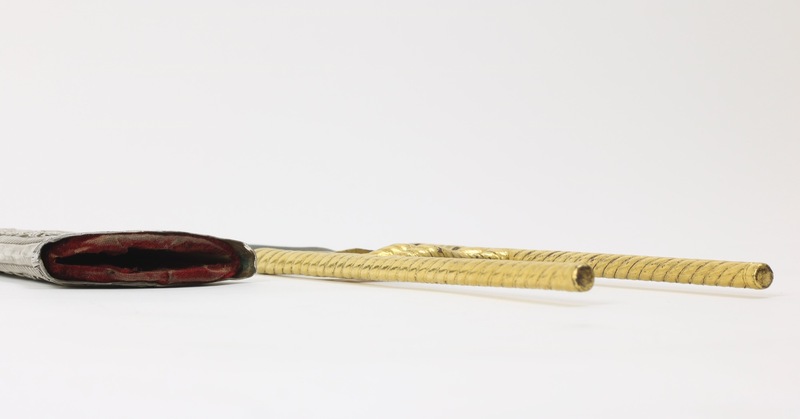 Royal Collection accession number RCIN 11408. 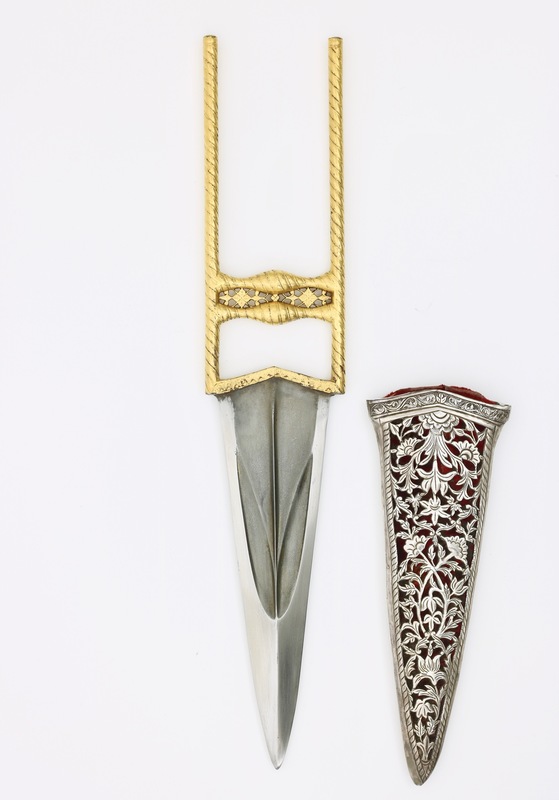 A beautiful katar that is part of a small group, most examples of which are closely related to Maharao Raja Ram Singh of Bundi. 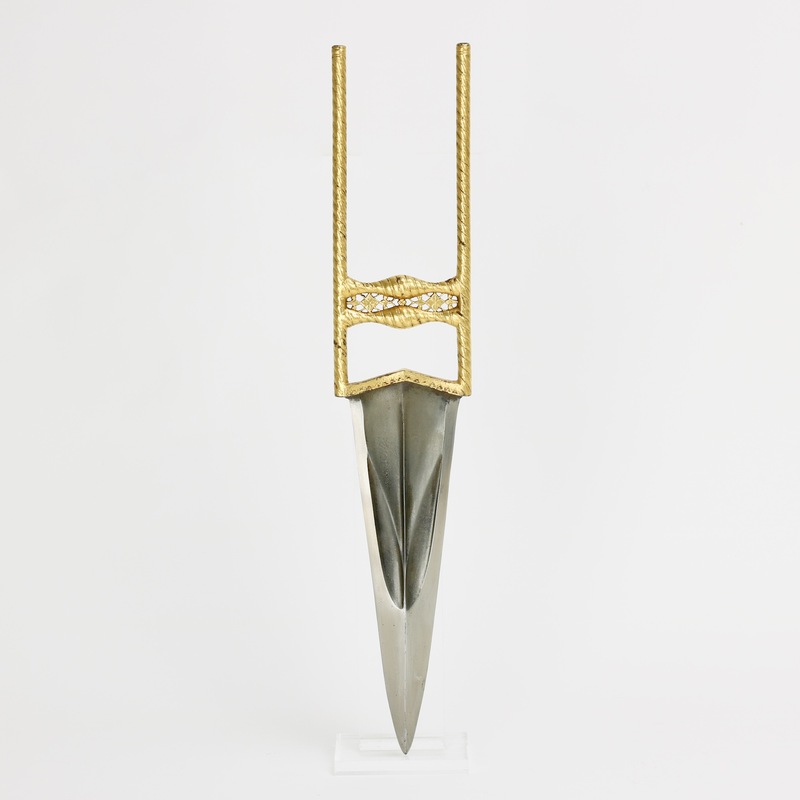 This example has a more orthodox blade shape, while its handle is identical in every aspect to all the specimens attributed to the Bundi workshops of Maharao Raja Ram Singh. 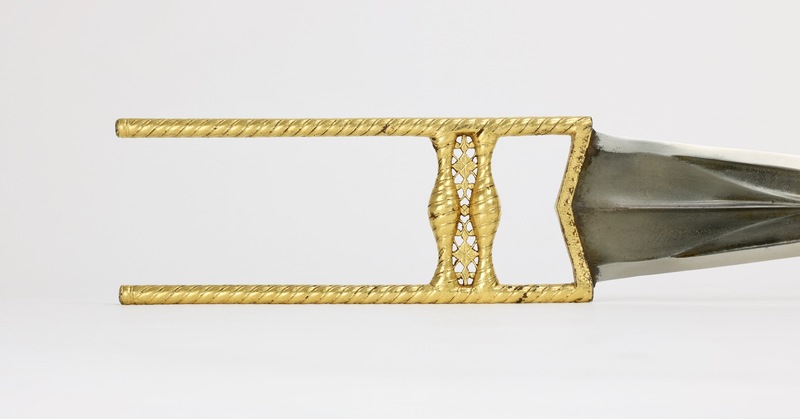 The Hendley anomaly aside of a possibly 14 years older specimen, I tend to think this katar, too, was made circa 1850 in Bundi. 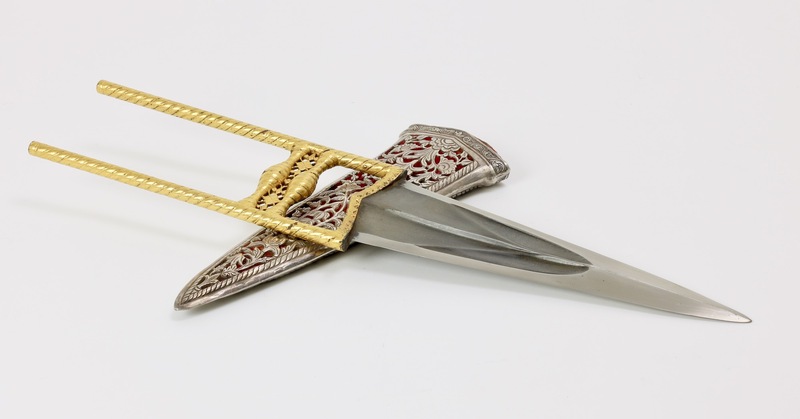 Even without its association with an important Rajput ruler, it is a very nice example of a north Indian katar of the 19th century.